My grandma told me to never reveal my beauty secrets... but I figured... what the heck! You know for a while I had lots of my friends convinced that my sweat sparkles? Yes yes, the lovely shimmer is what happens when I sweat. Now I will reveal what it really is, sorry grandma, this is just too good not to share! You're showing a lot of it during the balmy summer days so making sure it's looking wonderful is pretty important. Enter: Organic Bronzing Oil. I've been using bronzing oils in the summers for a long time after I accidentally discovered a bottle in a tiny local pharmacy. Bronzing oil is just what it sounds like, it's an oil to which tiny golden sparkles are added. When you apply it to your skin it gives a beautiful overall shimmer. The sparkle particles are really tiny so it doesn't look like you've spilled glitter all over yourself, it just gives your skin a light sparkle when the sun hits it. What I love is that it's so light, you can use this on your face AND your hair for the ultimate sun kissed just returning from a day on my yacht look! Nuxe falls close to the middle of this line-up in terms of price. The difference lies in the different mixes of oils and of course "brand mythology". 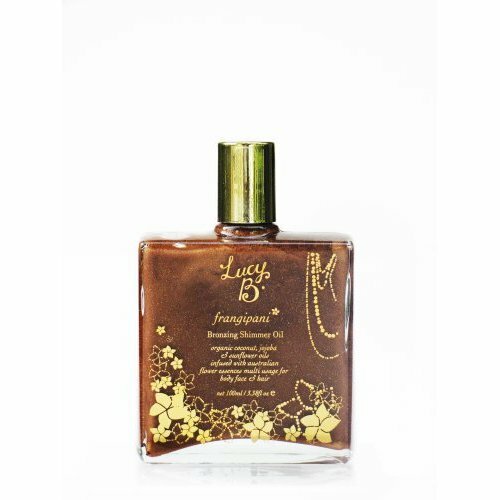 3 - Organic Bronzing Shimmer Oil from LucyB Cosmetics, a company inspired by bush flowers of Australia, is made with organic coconut, jojoba and sunflower oils. It's scented with LucyB's signature Australian Bush Flower Essences. 4 - Gold Shimmer Oil from Omorovicza, a Hungarian Company with roots going back 2000 years when the Omorovicza family set up a spa after the healing properties of Hungarian thermal waters were discovered. Coconut, rice germ, apricot seed and calendula oils were scented with ylang-ylang to create this. Or make your own organic bronzing oil! Grab yourself a bottle of organic sunflower oil and some gold and bronze mica powders. Mix the gold and bronze powders to achieve the color of your choice and measure about 1 tsp of mica powder for 1 oz of oil. Add some essential oils to scent it. The below supplies will last you for more then one portion. The final step in pulling off this beauty secret is to know exactly what to say when you receive numerous complements and inquiries about why your skin is shimmering. I suggest something like this: "What? Me? Sparkling? Where?" Look really surprised and pretend to inspect your skin carefully... "Oh hmm... I don't know, I am a bit sweaty, I guess that's what it is...I'm so embarrassed..." Look appropriately embarrassed because someone noticed you shwitzing. Practice this little performance in front of the mirror a few times to perfect it. What is your go to beauty secret? What's a beauty tip you can't live without in the summer? 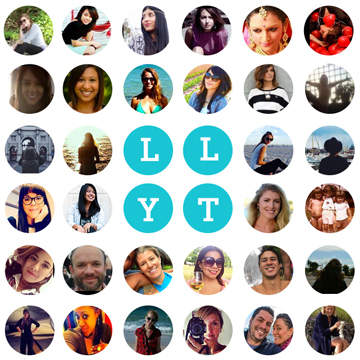 on our Facebook Page or leave a photo or blog post link in the comments.